now he’s once again on the open market in NHL free agency. that still have a need for a proven top-six NHL scorer at right wing. of the team’s logical candidates for the role have question marks. Puljujarvi is only 18 and is playing North American hockey for the first time. scoring history, but struggled badly to produce last season with the Oilers. gate and it isn’t likely to cost too much. conflicting reports on exactly why things went sour in Switzerland. dependent on him being fully healthy for the start of training camp. that could use an infusion of scoring at the position. fast. Versteeg could help with that. Would you trade Darnell Nurse-plus for Jacob Trouba if that deal existed? Versteeg? Fist of all, m’eh. Second of all, double m’eh. Thirdly, m’eh. I’d rather play Puljujarvi, Yak, or Kass. I don’t think that Oilers management sees the hole on the right side that the local writers have been harping on all summer. I guess JP will let us know in October whether or not one really exists. I agree. Yak, Kassian, or Puljujarvi could all slot into the 2-4 RW roles. We have lots of depth in my opinion. Puljujarvi is the most likely at #2, but Kass and Yak have to be pretty motivated coming into camp as well. Is that you Steve Tambellini? Or is your name Scott Howson? Or Craig MacTavish? I can’t tell. You could be any of those. This type of unbridled optimism is WHY the Oilers are the Oilers. Yak, Kassian, Puljujarvi slot into the 2-4 RW roles?! Ha! – Yak has chemistry with 97 (who doesn’t?) but is not suited for a checking line (e.g. lines 3 and 4). He has shown little chemistry with our 2nd line Center (Nuge), partly because Nuge regularly faces the toughs. – Based on history, Kassian should not be counted on serving above the 3rd line. No shame in that. But yea. – Puljujarvi is unproven. Cheer for him, but don’t count on him. Remember Leon in his first year? So, what we have in Yak, Kassian, Puljujarvi are NOT RWs who slot into the 2-4 roles. What we have is: 1 RW who needs to play on an easy-minutes line (Yak), 1 bottom-six RW (Kassian), and 1 RW who may or may not belong in the NHL. Oilers Mantra: hope for the best, but prepare for the best. You and I have different outlooks on what constitute depth. The Oil have one proven quality RW, Ebs. Pulujarvi might be good, but he might be a struggling 18 year old or in the AHL, Kassian in a bottom 6 and what can one say about Yak? I hope for the day I don’t have an anxiety attached very time Yak in in the ice (likely the day he in no longer an Oiler). ha !! 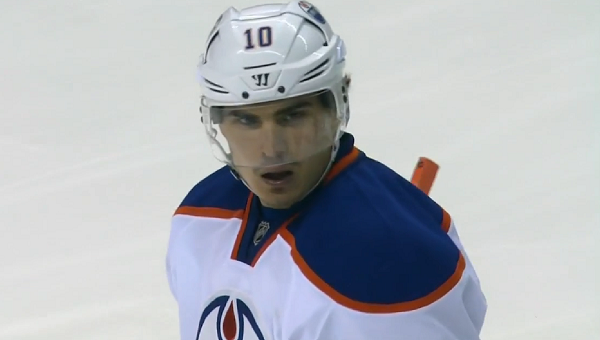 Oilers do something we still apparently need to do like sign another experienced forward or get a good RD? i’ll believe it when i see it !! But why is he such a suit case ?? No red flags for you there ?? Chicago dealt him in 2010 because they were in a terrible cap spot and needed to cut costs. They traded to get him back three years later; that’s not the kind of thing a team does if it thinks a guy is a problem. I should also add: undersized secondary scorers are exactly the kinds of players who tend to bounce around the league. Teams keep adding them because they have value, while other teams keep trading them because they’re replaceable. Do you mean his reputation for being a bad team person or his insurance issue. The insurance wouldn’t be an issue for the oilers cuz we aren’t a budget team so if he goes on ltir it’s no loss to us. The being called bad in the locker room rumours I’ve heard would be a bigger concern. Idk if we have anyone that’s played with him before but if we do I would ask them. Edit ohh this is getting trashed but this topic came up on hf boards and it seemed like fans of previous teams he was on thought of him as a locker room cancer and didn’t want him back so I’m just repeating what fans hopefully more knowledgeable than me thought. But this will invalidate all the articles written this summer on how the oilers missed out on versteeg. What then? People who say “the Oilers should do X” generally react positively to the Oilers actually doing X.
IMO another centre would be a better move than adding another winger. It is better to move a centre to wing than a wing to centre. Mike Richards isn’t all that appealing. Either a trade or wait until the final cuts are done and pick up the best waiver eligible centre from one of the other 29 teams. There has to be a few better than Letestu and Lander. Jonathan I’m not sure that blogger speculation is a wrinkle for any team. Is there any legit chatter that a team may take a flyer on Versteeg? I think i agree with Spydyr on this one. Grab a Right-shot Centerman and push Draisaitl to the RW. If Drai plays C, then the new C can move to RW. Right shot is also important for any PP work this person may do. As i have read it, we’ve got too many lefties and things just don’t line up well. We need a RH shot for whomever we add: D, C or W.
The Oilers would probably grab a Leftshot 4C who doesnt play PP and that adds to the already congested Left side. It does not look like the team will be picking up a offensive RHD for the powerplay. My fix for that is play the right handed forward with the hardest most accurate one timer on the point for the powerplay. Unless you are protecting a lead in the third period. I agree with your first comment, but why the second? Work has been done to correct the many years of stupidity – easy to play against, unbalanced LHD versus RHD, Goaltending, size in the top 6, lack of a decent farm system. These are not easy to fix, but progress has been made. If you want to dump on past management, fine, but this group is trying to point the ship in the right direction. Versteeg going to Europe in the first place suggests to me that there was no interest from any NHL team. His numbers are not so bad, so the question becomes, why was he shunned? The real question is why Lee Stempniak couldn’t get a contract last summer. The answer is that 30 NHL teams didn’t think he was worth one, and that 30 NHL teams were wrong. Sign him now. We need fewer minutes played by rookies and borderline AHLers and more minutes played by actual NHL veterans. Leaning on rookies (like Puljujarvi) to play big minutes is why the Oilers have been terrible for the last decade. It’s moves like this that keep us a last place team. By getting Versteeg we are replacing Teddy Purcel with another version of Teddy Purcel. We need to actually upgrade or we’ll never get out of last place. Versteeg is finished and doesn’t represent an upgrade on anyone we have. But I suppose Willis likes him because of some dumb advanced stat. Versteeg would have been the 2nd highest scoring RW of the Oil last year, behind only Ebs. So one could make a case he could help the current roster. So you are saying he’d be an upgrade on last years roster…which finished 29th. Purcell had a decent campaign as an Oiler. Not a blowout either way, but quietly put up a respectable stay in E-Ville. Anyway, i was not big on him, but by the numbers he wasn’t awful here. Having said that, i would like to do better than Versteeg, but if there is nothing else, and he’s an upgrade, and it’s not expensive or long term, add him. Purcell and Versteeg are both soft and mediocre at best. They help us to compete for 29th again. They do nothing to bring us forward. I’d rather have Leon on the wing and get another centre or if Leon stays in the middle then find another winger via trade. On the plus side, he is 30 years old, a right shot RW who typically contributes 30-40 points a season… on the downside, he’s got an injury history, smallish, and already been passed over by the NHL teams during free agency. If it was a one year deal at a bargain rate ($1M to $1.5M), then maybe. Anything more than that and a hard pass. 2. Force Puljujarvi / Yakupov / Kassian (and even Pitlick) to outplay the Stanley Cup winning vet. 3. Bonus: trade Versteeg for a pick at the deadline if possible. No other team wanted him but trading him for a pick is an option? You trade Versteeg for a pick (e.g. a 4th or 5th) at the deadline if he’s played well for us. If he’s played well for us, he’s blocked someone like Puljujarvi or Pitlick from getting into the lineup. Which is good for both the prospects and the team. If nobody wants to trade for Versteeg at the deadline, then he hasn’t played well for us. Then maybe he’s in the minors or waived. But whatever. That costs nothing but a bit of cap space (of which we have). Signing him (or someone like him) to a 1-year contract is a no-lose scenario. Seems to me Versteeg bolted to Europe fairly quick. I think if he stuck around he would maybe have a NHL job already but can’t blame him for not waiting around. Have to wonder about his health now but I’m sure any team that tries him out will look into it. Its slim pickings right now for UFA’s. Rather have a centre that will play wing some of the time but any veteran depth that can actually play is worth a shot on short term low money deal. Relying on Puljujaarvi to jump into the top two lines is what the Oilers always do. Give him competition and some time, let him grow. Yak is such a wild card too, I keep waiting fro him to flip a switch and suddenly be consistant. Trade value is different in the summer than the trade deadline. Just ask the Bruins, who could have signed Lee Stempniak in July, but ended up dealing a 2nd and a 4th for him in a futile attempt to make the playoffs. Trade deadline trade value is weird. I’m pretty sure the Chicago Blackhawks strongly feel that Kris Versteeg is some sort of magical Stanley Cup lucky charm for instance. The oilers didn’t make a pitch before he went to the Swiss league so presumably we aren’t interested then. He has failed a medical and this makes him of more interest to the oilers why? Do it. We have a gigantic void in the position, can’t get worse from bringing an experienced guy that has won something other than Junior championships. Whatever scenario you throw Yak on a line instantly makes it a poor line. Maroon, Drai, is a great 2/3 of a line, but when you add Yak it looks horrible. We keep waiting for him to flip a switch, but I’m done, and I imagine Chia Pete is as well. I’d rather have Versteeg than Yak. Depressing. Oilers GM Peter Chiarelli on 630 CHED on Thursday on if he’s done with the right side of their blueline. “pretty much done”? he hasn’t done enough. i’m disappointed. no playoffs again this year….11 years with no playoffs and counting. I’m hoping the focus this year is to win games rather than to develop players. We have been waiting since 2010 for players to develop. Versteeg has the injury question mark. All of our guys have some sort of question mark. Ebs missed the start of the season. Yak has bad press and low numbers. Pitlick has to put together a streak of health and goals. Zak needs to find the net and cool it with the stupid penalties. Jesse is young but oh my he is THE next power forward. IF Ebs starts strong and lets say Yak finds his mojo and Jesse looks like a Calder contender we have instant depth. If I was PC I would hold a couple of roster spots open and grab a young RW and RD off waivers. Remember our waiver position is very strong this fall. There’s like 17 “ifs” in your assessment. If my grandma had balls she’d be my grandpa! Nail Yakupov has intriguing potential, but little history of living up to it and will be playing for a coach who thought the Mark Letestu line was the best place for him last year. Yak reaps what he sows. Not much…. sadly. With a nod to McDavid, the leagues best coat tails to ride. People have to remember that in 2010 after the Hawks won the Cup Versteeg got drunk and rapped at the SC Parade party. I don’t want that influence around or young impressionable kids. Why is Leon needed at center ? Macdavids line can play 6 plus minutes a period and so can Nuge and Leon. The checking line 5 minutes or so,that doesn’t leave much for a forth line.I think you have a better team running 3 lines, and spare guys for injuries or rotate them.Plus all the commercial breaks , i don’t see 3 lines being a problem. Played with Versteeg in summer hockey a few times…. best way to describe him was “whiny brat”. Wouldn’t want him anywhere near my team. I am not a huge Versteeg fan. Super soft and obviously not exactly a hot commodity. He would potentially fill a small void at RW, but he isn’t any kind of world beater by any stretch of the imagination. I’d be surprised if Chiarelli even took a flyer on him due to his lack of physical play. Not the mould he has stated he wants. Did Jiri Hudler sign anywhere? Because he would be a much more superior option to my mind. A PTO for Kris Versteeg hurts no one . Especially if he catches on and helps the team . Chances are very slim Chiapeterelli will offer such a thing? Cause according to the all knowing and seeing! He is ok with starting the season with a roster that’s not that different from last year? We got 2 new players and lost 1 great player ? I’m confused ??? Thought Chiapeterelli was improving our team ? Just wanted to ask Chiapeterelli how long his rebuild is gonna last ? I don’t see the minor moves this summer as making a huge playoff difference ! Trying to stay positive but don’t see much light at the end of the tunnel yet !!! World Cup starts soon! Go team NA !! !